This is yet another company which was wanting to raise funds and could not and finally ended up in a big mess with promoters stake reducing. 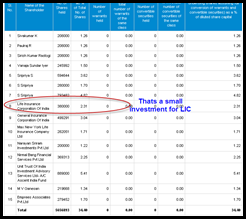 Surprisingly LIC took stake quarters before the big fall started. Lets look at the shareholding pattern change. Some of the earlier holders in the stock were GIC ( which has been trading in zylog ) , UTI – Ascent India Fund and some marquee names of the markets like Sundar Iyer, Sharad Shah. 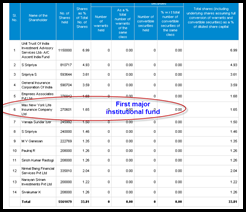 In March 2012 we saw the first major institutional fund – Max New York Life to be buying a 2.7 lakh shares or around 1.7% and the stock saw a huge rally in that quarter. 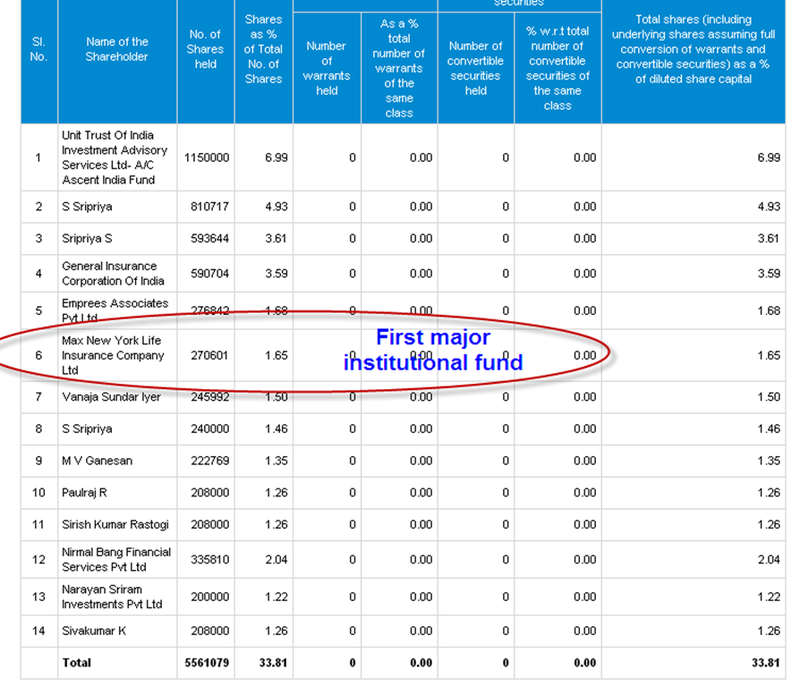 Then LIC bought the 2.3% stock or around 3.8 lakh shares. This was the highest the stock made. 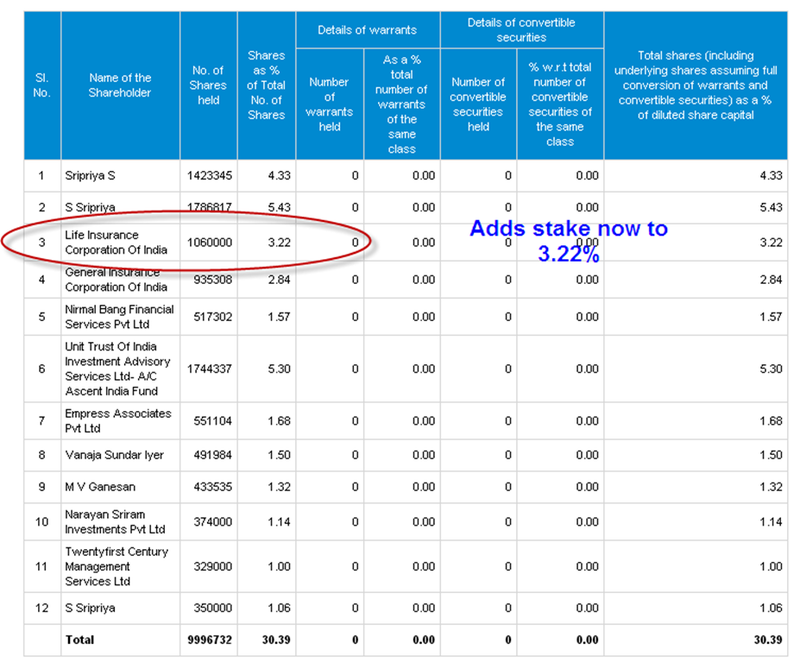 Further in the next quarter September 2012 LIC added more stake and made it to 3.22% or around 10.6 lakh shares. 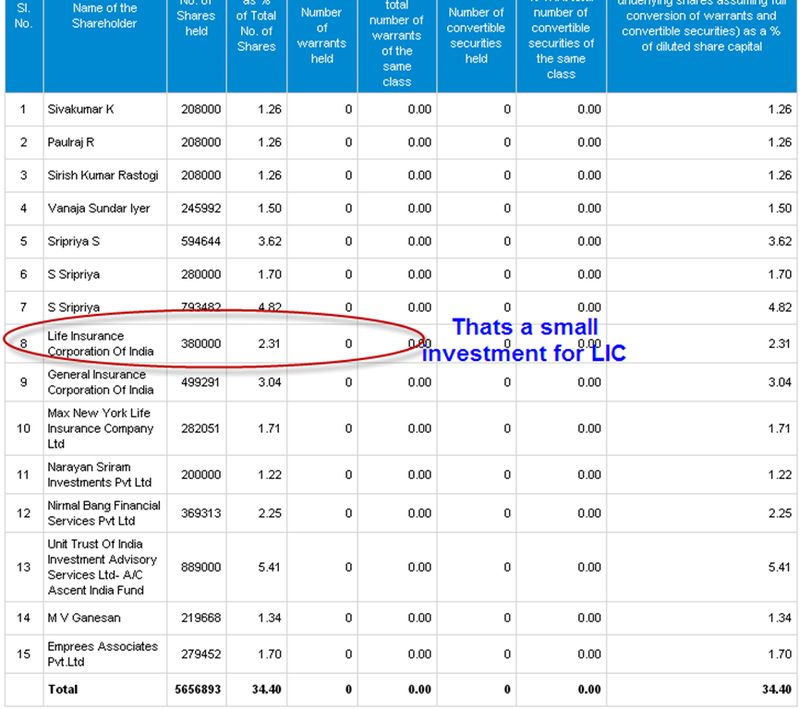 This is still a small investment for a large size of LIC of India. 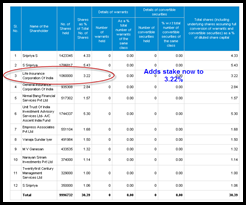 The next quarter December 2012 saw the stake going to 4.13% stake and we dont really know whether the stock was bought at 300 rs or at 60 rs. 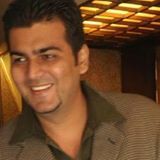 Yes the stock fell from 300 to 60 with promoter holding falling in a big way and margin selling. 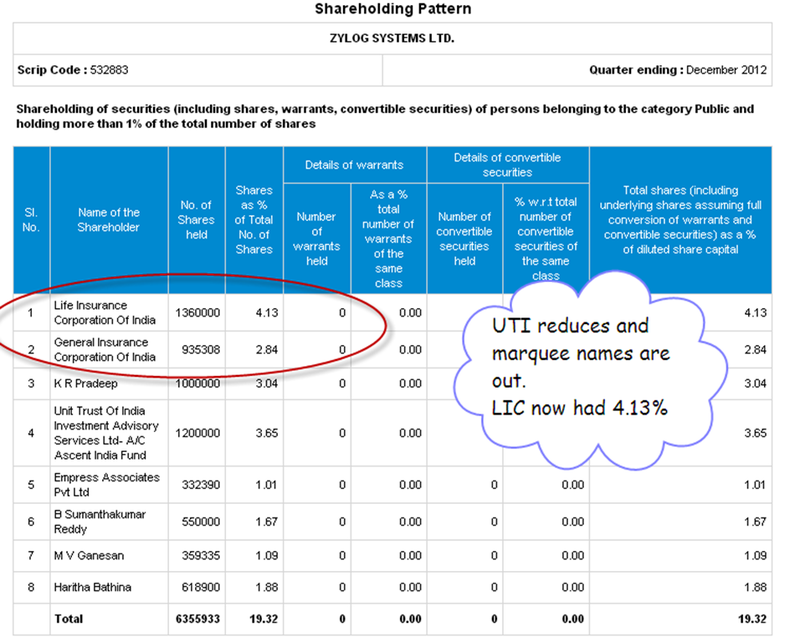 LIC and GIC stick around with UTI reducing stake , marquee names selling out, Promoters margin selling done. 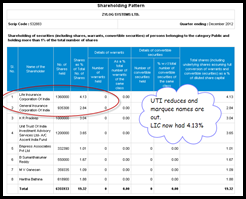 As of March 2013 LIC continues to hold stake and UTI continues to reduce stake. This is how the whole price process looks on the technical price chart. So yet another stock which goes from 300-320 to 15 rupees almost a drop of 95-99 %. Surprisingly it seems the stock was waiting for LIC to finish its buying before falling all the way to the dumps. Was it another case of a scam by LIC or a genuine company which went down the drain. Fundamentally the cash flow was always a concern with huge receivables. All such bad companies fall only after LIC gets in fully with 5% stake 🙂 There is no need to comment on why and what went behind the curtains for the stock but i get a new definition for LIC = LAST IN CORPORATION. Recent buying in Flexittuff International by LIC for around 4-5% stake also looks suspect though the stock has not fallen.